Keeping a schedule will help to get your things done in a timely manner. If you are into organizing sports with proper scheduling, it will help you a lot to stay organized and punctual. Time management is a must amongst the sports professionals; as a sports manager, you need to keep a basic kind of schedule template so that they can perform successfully. 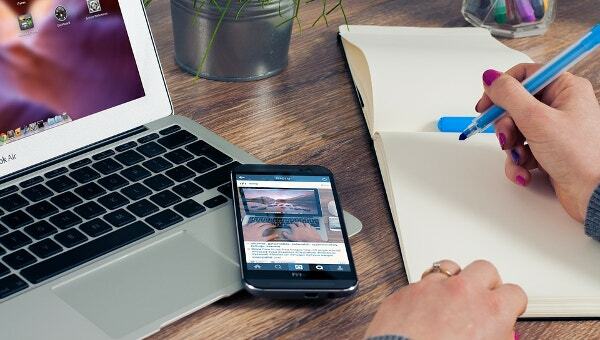 Go through the Schedule Templates that have been discussed below and use the one that suits you. 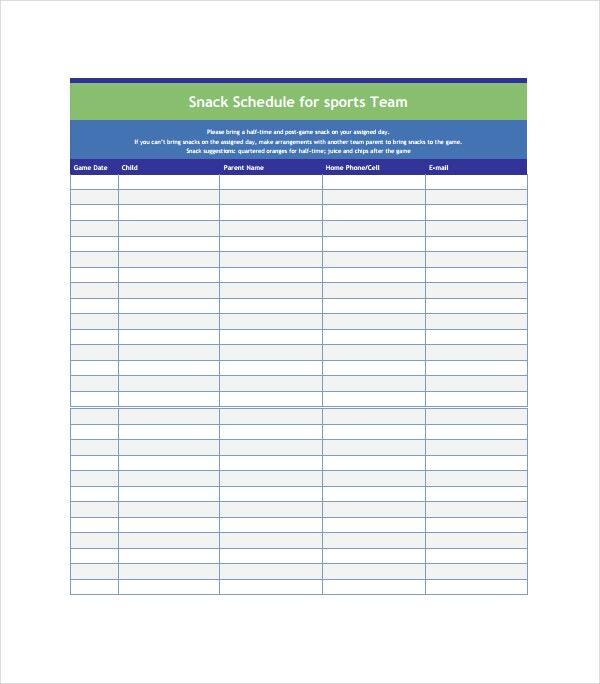 This particular template can be used as a snack schedule of a particular sports team of a school. Here the sports tutor can note down the child’s name, the date of their game, their parents’ name and the contact details as per the columns. You can easily view the file in Adobe Reader. 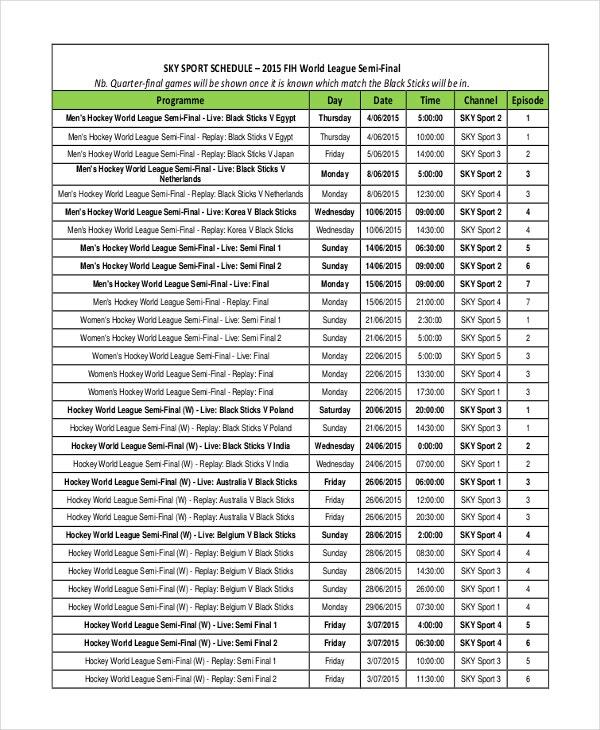 This particular template can serve as an online template where the name of each and every sports individual is to be noted down along with the team they belong to, the sports they play and the date of their game. The reports can be viewed in the form of PDF, CSV, XLS, and HTML. This is basically a schedule of upcoming hockey sports of a particular TV channel. The form consists of the date, time, day, channel and its episode number. 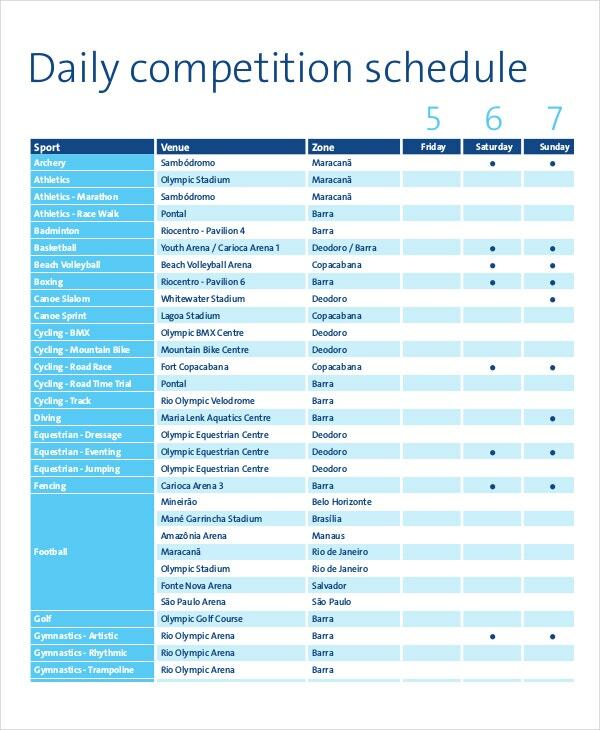 People can put it to use so as to keep them updated regarding the time and schedule of the sport. All you need to do is input the details and get it printed. 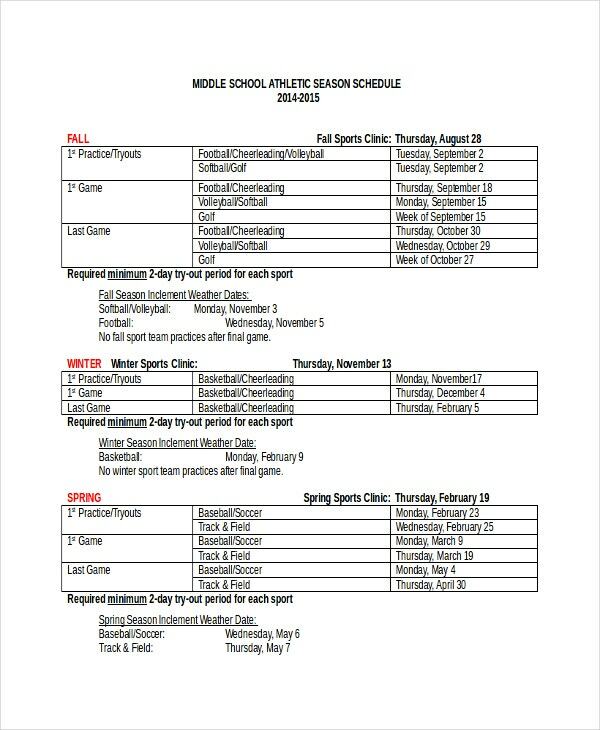 This particular template can be used to record the sports related details of a district-based middle school. The form will require the name of the sports, the date when it is to be performed, the time and the location. The sports coordinator of the school or the sports tutor needs to keep a copy of this with him. 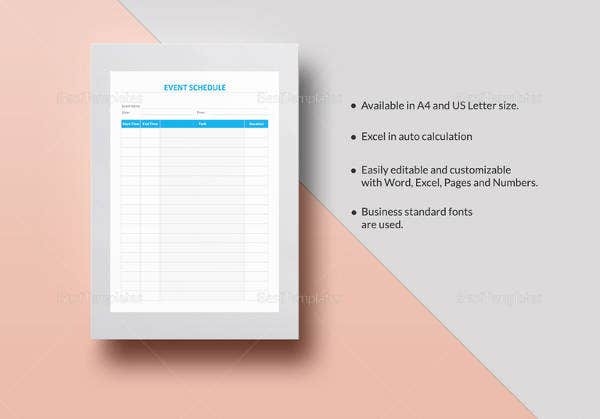 This template can be used to create team schedule template that will require the timing, date and schedule of all the athletes participating in a particular sports event. 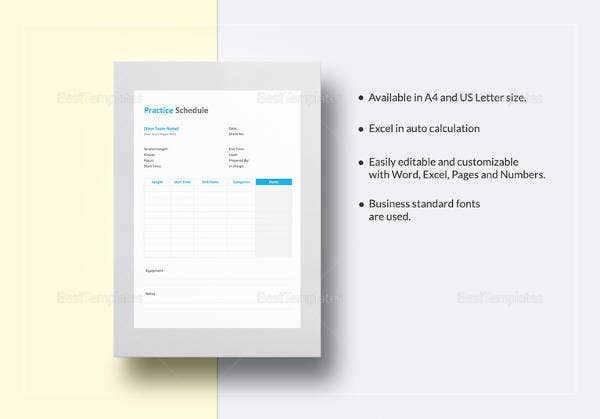 You can also form a scheduled list since the form can make good sports practice schedule template that can be put to use before the actual event is taking place. 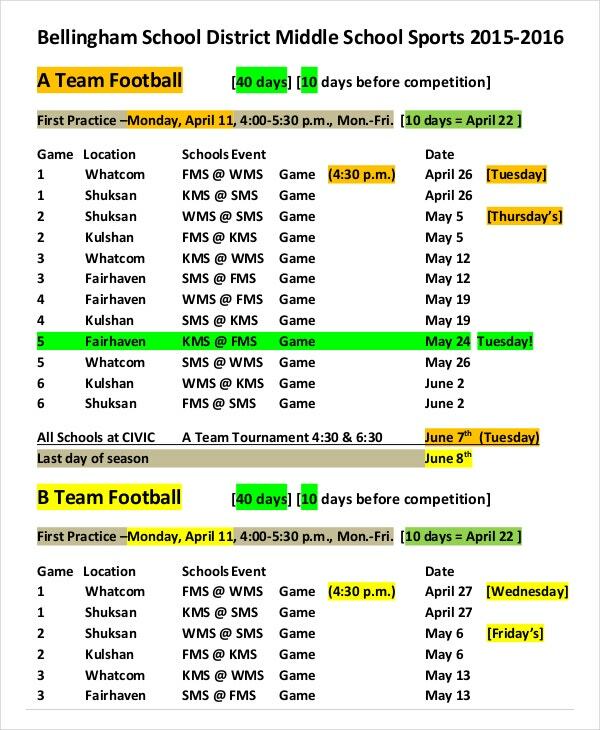 > How can you use a sports Schedule Template? All you need to do is put the required details that the particular organization needs to know of. 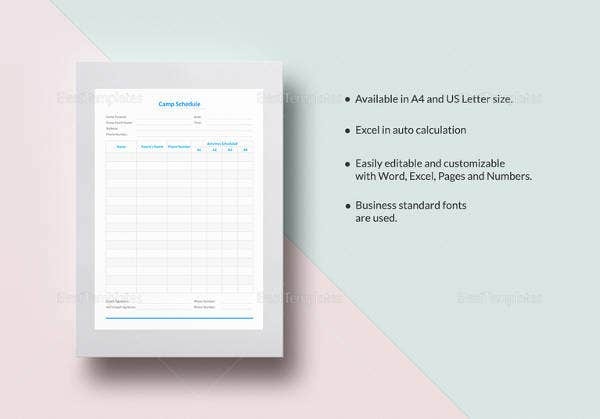 You, as a sports manager, or a tutor need to jot down the name, contact number, sports type, date of the performance and other details of such type in the form. The form might be put to use later on when again the sports related selection is to be made for the following year. Also, you can get to know about each student who had participated in which particular sports. Write down the main details and you are done. 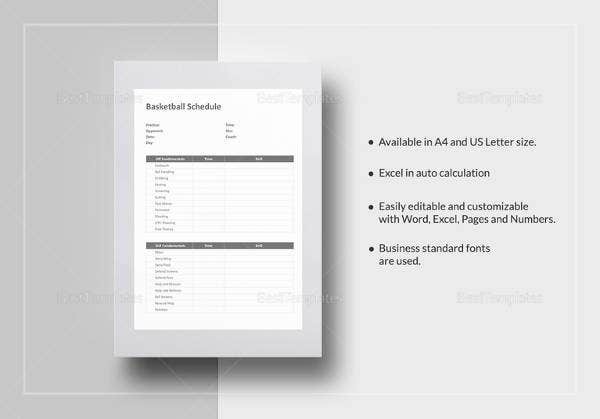 > What details need to be put into a Sports Schedule Template? You need to mention the name, sports type, and date of the event, time of the event, the name of the team that he or she is a part of and many other details. The form needed can produce the basic identification details of the sports professional. Also, roll calls or attendance can be made with the use of such a form. If you want your sports professionals to function with ease and maintain time, then put this form to use. The people will stay organized and in perfect form as well. 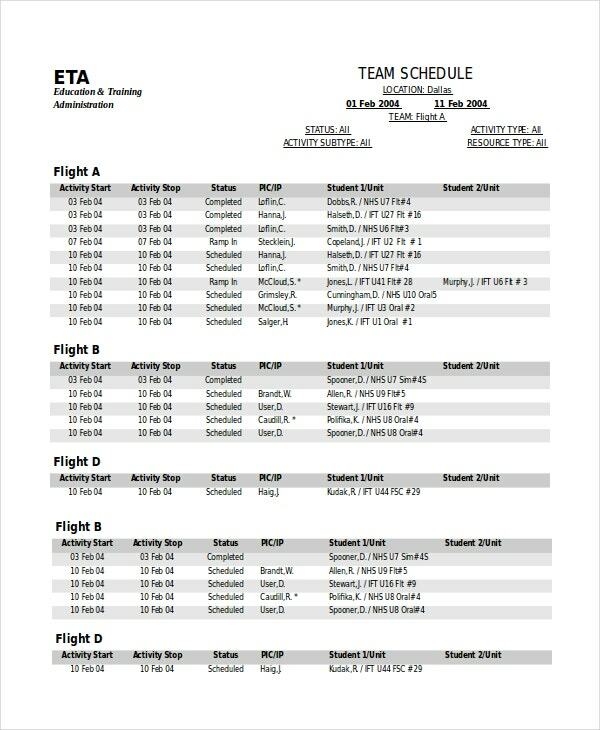 You can also see Camp Schedule Templates. > What can be achieved by using a Sports Schedule Template? 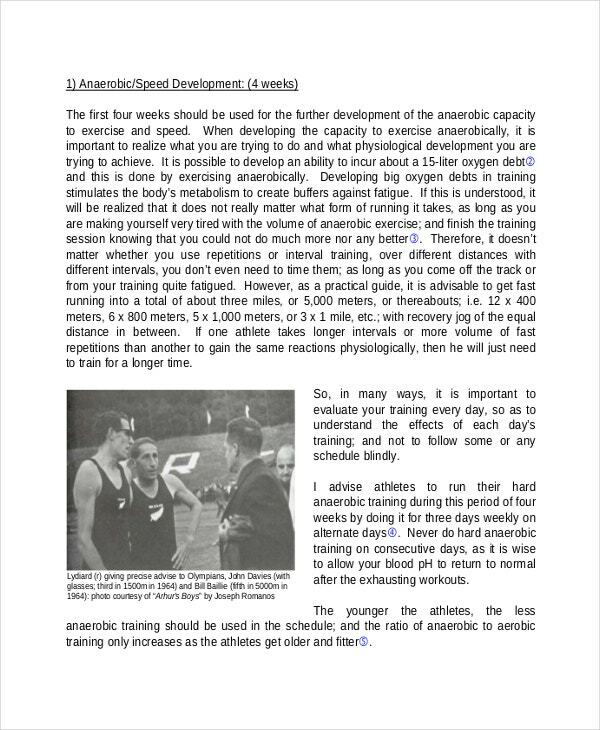 Punctuality, proper organization, good construction, and many other positive elements that a sportsman needs to have can be acquired if this form is put to use. The sports schedule can help the sports tutor or the manager take proper attendance and look into the fact if any of the sportsmen goes missing without prior information. Also, they can be used to create lunch or snack-based schedules. 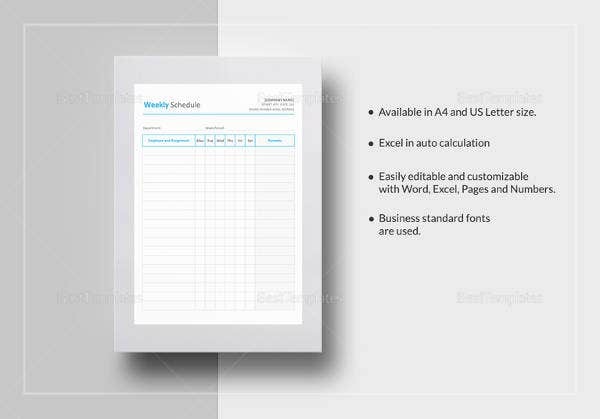 All you need to do is customize the form in MS Word and implement the sections that you need to be put into the form. The file can be printed easily. These templates act as a roadmap where the names and other details of sportsmen and other sports professionals are mentioned. 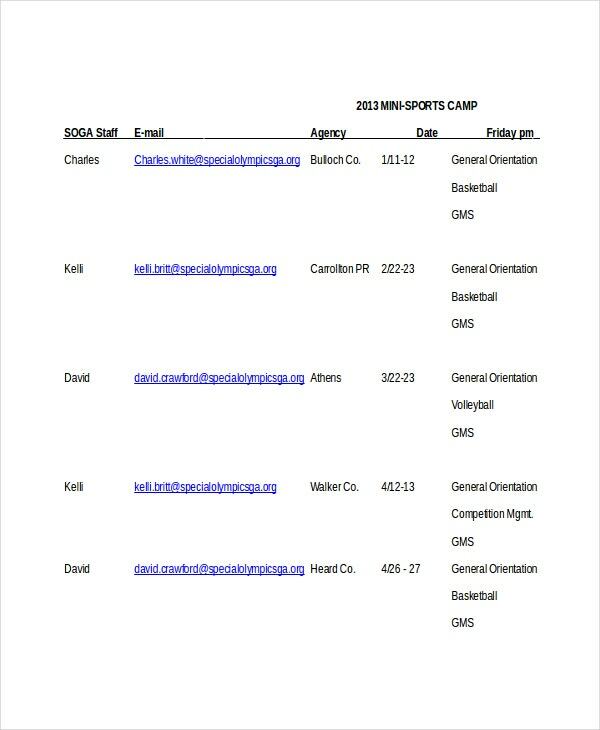 It can be used as a promotional tool as well as camp schedule templates to promote information about the sports and the tournaments. The use of such templates keeps everything organized.